I buy plenty of home improvement products from big box stores like Home Depot and Lowe's because they have a good selection, have reasonable prices and it is convenient to have so many items available in one place. But I would NEVER buy New Carpet or Flooring from any big box retailer or warehouse. Why? Choosing the right carpet of flooring is not a simple task. It is very important to choose the right product that can meet your needs and goals. If you select the wrong product, you stand to lose hundreds or thousands. Over the past decade or two, new Carpet has become a major homeowner expense, perhaps second in cost only to roofing or re-siding a home. Choose the wrong carpet and it will not last as long as you might hope. It is also important to select the correct padding to put under your new carpet. It is also important to have your new carpet installed correctly. Homeowners need complete and unfettered access to carpet specifications and professional advice in order to learn how to choose new carpet wisely. There are big profits to be made on carpet and flooring products, and just one decent sized carpet job can yield thousands in profits for the retailer. There is so much money to be made selling new carpet and all the trimmings that they can offer you discounted carpet installation, often for $39 or less! Why do you suppose Home Depot and Lowe's offer carpet installation at such a low cost to homeowners? Big Profits and small risks! It's hard to find experienced and qualified carpet installers. The most qualified and experienced carpet and flooring installers don't need to advertise or seek work from an independent flooring installation company. They get plenty of work generated from past customer referrals and by word of mouth. The best installers are also able to charge a bit more for their services because they do such a great job and have a great reputation. This is the type of installer you want to install your new carpet or flooring. Locally owned flooring dealers have the luxury of hiring and keeping some of the best installers and build long-term and solid working relationships. In return for steady work from a local flooring dealer, these well trained and seasoned carpet and flooring installers enjoy having their schedule and paycheck be steady and stable month after month, year after year. It's a win-win scenario for the locally owned flooring dealer and for the flooring installer too. The last time I checked, both Lowe's and Home Depot farm out all their carpet installations to independently owned installation companies who tend to hire just about anyone who has carpet tools and a truck. These installation companies remind me of those temporary employment agencies who hire just about anyone with a heartbeat. Sure they want to find and hire qualified installers, but very few well-trained installers would ever apply at a company like this. Sadly, the installers they hire often to do more damage than good and most of the "so-called" good installers don't last more than a month or two before they move on to something better and higher paying. This is the type of installation company that big box retailers are dealing with to handle all their flooring installations and who they rely on to hire and supply installers to do all their installations. If this doesn't make you a little bit concerned, I don't know what else to say. This means that you have no way of knowing in advance who is going to install your carpet until they show up at your door with your new carpet hanging out the back end of their truck. Who is working in my home? Are they trustworthy? Are they well established in the community? Are they qualified to install my carpet? Will they do a good job? Do they have a valid state issued Contractor's License? Are they Bonded and Business Liability Insurance? What if something goes wrong and your carpet is installed wrong? What can you do, who should you call? Will anyone be willing to accept responsibility and help you resolve your complaint? Can you get a quick remedy? Or will it take weeks of calling with no response? Has the installer quit, been fired or moved away? These are real concerns that many homeowners have already had to deal with. I've heard from so many homeowners who ended up with a poor installation job and listened to their horror stories about the runaround they got when calling the store to try to get someone to listen and be helpful. You don't want this to happen to you. If you have a problem with your carpet or installation you need to be able to get a quick remedy. But if you only pay $37 for carpet installation and you are not satisfied with the final outcome will you just get a $37 refund? That's how much you paid for the installation, right? Now I see television commercials that offers free carpet installation! Let me ask you... have you ever heard the old saying "if it sounds too good to be true... Then it probably is! What you finally end up paying for carpet installation may be way more than you expect! Many new carpet sales gimmicks have been offered up lately by the big box warehouses and some nationally advertised "shop at home" flooring retailers. Their claim of deep discounts on carpet or installation are designed to lure you into thinking you have a chance at getting a really good deal. No matter what their current sales gimmick is, their goal is to make you think they are giving away the farm. Have you watched those quirky shop-at-home for carpet TV commercials by Empire Today that offer incredible deals and next day installation? Did you know that their salespeople are independent contractors? They are paid solely on commission and are basically free to charge you as much as they think they can get away with. That means if you live in a nicer home and have an expensive car in the driveway, you might be quoted a higher price. And what about the products they sell? Are they well made and as durable as you might expect? You will not be happy if you buy a cheaply made carpet at inflated prices. You must decide for yourself if this is the way you want to go. I suggest you do a quick Google search on any carpet retailer you are considering to see if they are reputable, and see what their previous customers have to say. It could save you time and trouble. Even if you are tempted to buy from a big box retailer like Home Depot or Lowe's, you would be wise to get several bids to compare prices on similar carpet, pad and installation. There is no standard markup for carpet and pad. An identical carpet can vary in price widely at every carpet store you visit. Any dealer can price their carpet, materials and labor any way they want. Buying Carpet From Lowe's or Home Depot? Carpet Installers Are Not Always At Fault! I respect well-trained carpet and flooring installers, especially those who work hard, are honest and have integrity. They work very hard to earn their money by providing an honest days work requiring strenuous physical demands and having to follow strict legal state licensing and insurance regulations. Installing carpet or other residential or commercial flooring is very difficult, time consuming and requires many years of training and attention to detail. Personally, I think flooring installers are underpaid and often wrongly blamed and held financially responsible for carpet problems that are beyond their control. It's just too easy for unscrupulous carpet retailers and carpet manufacturers to point the finger at the installer when in fact, the blame lies elsewhere. Hear about Home Depot's Whole house installation for just $37? No professional carpet installer is willing to work for free or is willing to install a house full of carpet for that amount, and they never do. It is just an illusion that they are paid just $37. The illusion is to fool you into thinking you are getting a super deal! They are charging you more for padding, more for carpet and more for anything extra you might need beyond the term "basic installation". The fine print says the "basic installation" is just $37 (or whatever the price is this month). But don't be surprised when YOUR carpet installation is not considered "basic". There WILL be some hefty extra fees and charges you will have to pay. You should expect this from all the big box retailers who lure you with this well televised carpet installation sales gimmick. "I just had (a home improvement warehouse) give me a measure and quote for new carpet. The basic installation is $99, then it is an additional $195 for tack strips, and an additional $85 because it is a mobile home. I've called other carpet installers and they charge less for padding ($3 vs. $5.65) and more for installation ($4/yard), and it will still cost me $250 less than the home improvement warehouse price!" What is considered a "basic" installation? Does the basic price include removing the old carpet and padding? dump fees? haul away fees, recycling charges? What about transitions, are they included? Nope, and the list is long! Big Box retailers may charge between $75 to $125 for measuring but say they will absorb the fee if you agree to buy new carpet and padding from them. Measuring should be a free service and not an extra fee. Personally, I would never agree to pay a dime for measuring because there are plenty of locally-owned and reputable carpet dealers who offer free estimates and in-home measuring. Extra for measuring, extra for delivery of the carpet, extra for removing the old carpet and pad, dump fees, extra for stairs, extra for doorway transitions, extra for replacing or repairing tackless strips, extra for just about everything. Isn't is obvious to you at this point that they hide the added cost of a low-cost installation by charging extra for every little thing AND inflating the price of the carpet and pad too? Do you know how much they mark-up their carpet and pad? There is more profit in carpet than you might think. And don't forget, they want you to pay for your carpet, pad and installation in advance upfront, and in full! The average going rate for carpet installation in the USA is about $4.25 per yard. It's a little higher in the northern states and a little lower in the southern states. There is almost always an extra fee for stairs, furniture moving and transitions where the carpet meets vinyl or hardwood flooring. They have a long list of fees for services that do not fall under their "basic" installation description. Some homeowners are very happy with their flooring purchase from a big box retailer. Not every homeowner has bad things to say about their carpet buying experiences with Lowe's, home Depot or Costco. But a lot of homeowners are not happy and have something to say. My goal is to help educate and inform homeowners! You decide for yourself what to believe or not. Is all you say really true you ask? If you think I am making all this up, take two minutes and do a Google search for "home depot carpet installation complaints' or some variation of that, and see for yourself what you find. I think you will have plenty of reading to keep you busy. 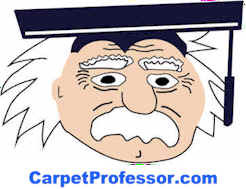 When you are done reading pages of complaints from unhappy homeowners, come on back and let me help you make wise and informed carpet buying choices. Some carpet installation specials are a really good deal for consumers, especially those offered by locally owned and family run carpet retailers. Reputable carpet retailers may advertise discounts on carpet, padding or specials on installation similar to the big box stores, but without all the fine print! The economy is doing better but a lot of small business have closed over the past few years. Times were really tough from 2008 forward and still today a lot of small businesses are struggling to stay afloat. To earn your business many local flooring retailers have lowered their prices just to stay in business and to compete with the deep pockets of the big box retail stores. But be careful who you buy from, it's still easy to fall prey to a carpet scam these days and that's why I have been compiling my own special list of locally-owned carpet dealers for my preferred carpet dealer directory. 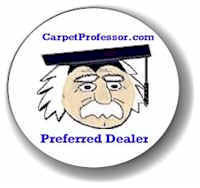 Take a peek and see if I have a preferred carpet dealer near you. For these reasons and many more, I would never buy carpet or flooring from Home Depot, Lowe's or Costco, or recommend that you do. I think you should buy from a reputable locally-owned carpet retailer that has your complete satisfaction in mind and will treat you right from to start to finish! Buying locally helps support your community, your schools, your roads and your neighbors too. Please tell your friends about my website! How to Avoid Common Carpet Scams! Should I buy Carpet from a Big Box Retailer? Why Do You Only Recommend Locally-Owned Dealers? FREE Coupon - Get up to $100 Off New Carpet!